Power Search is a significant improvement in the Miva Merchant search capability beyond the built in search system. It allows a customer to search one or more fields as configured by the store owner. Power Search is a significant improvement in the Miva Merchant search capability beyond the built in search system. It allows a customer to search one or more fields as configured by the store owner. The store owner can choose any fields within the products database and/or the custom product fields (Miva Corp built-in utility module) database to be searchable. No expensive monthly search fees with this advanced search module. Easily editable templates. The module has five templates which can be used for each section of the search page. The templates have full versionhistory and use standard Miva Merchant template coding for easy update and rollback of changes. Each template is pulled into the location you want it on the search page using a render token. The templates are field selection, category selection,search scope/type, page counter and links, and product list layout. Search specific fields. Allow a customer to search one or more fields which are made selectable by the store owner. The store owner can choose, in the Power Search admin screen, any fields within the products database or the Miva Merchant built in custom product fields database to be available. The Power Search module uses a mirror database of your products, custom fields and categories; much like the big search engines use. By creating a mirror before the search is made, many operations to join multiple databases togethercan be avoided, so the customer gets a much faster search. 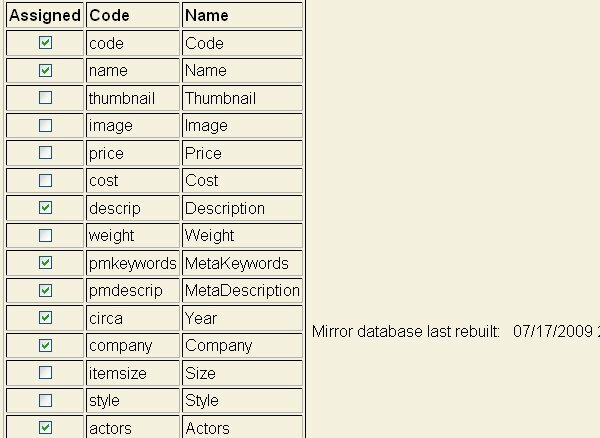 The build of the mirror database goes quite quickly in mid sized stores (e.g. 20,000 products or less) and is a maintenance procedure you will do periodically. The small amount of time you take to build the mirror will save your customers significant amounts of time in their searches vs searches which don't use an optimized mirror database. Buildingthe mirror is not required just because products are added, deleted, or edited; as those processes update the mirror automatically without needing a rebuild. See the install doc for details. Sort results. Customers can sort the search results on fields like name, code, price, cost, when they were added to the store, custom field, or the default display order the store owner established for product lists. Category selectable. Customers can use the category selector to select just one category to search. The default is to search the whole store. You can use the built in token which lists all categories with one or more products in them oryou can build your own select list of only certain categories. Multiple search types. The customer can select how they want to search the database. The default is to search for products where all (boolean AND) of the keywords entered are found in the record. The customer can broaden that search so that any (boolean OR) of the words are found in the record. They can search by exact phrase so that the words must appear in thesame order in the record as was entered in the search input. They can also search the fields where the data in the field begins with the search string. This is useful for things like finding all of the products whose NAME begins with a specific letter and allows you to have a list of A-Z links that implement that specific search. Advanced pagination. The Power Search module can display the total number of products found which match the search condition. Additionally, the pagesare numbered, e.g. Page 3 of 20, when search results exceed the configurable number of products per page. You can also display alist of page numbers and links to those pages so the customer can jump to the page they want to look at. This pagination is similar to that used in the Emporium Plus Category Manager module. Customers can choose the number of products to show on each search results page. Did you mean? If your store uses MySQL, you can display a list of suggested words with links to search those words when the customer's search yields no results. Customers do occasionally misspell words. Don't lose a sale because they can't find a product due to misspelling. Build the list from a flat file import. Create an intelligent word list that is related to your products and store. You can build it manually in notepad, download free lists from the Internet, or use our Template Data Feed module to create it automatically from your existing product names, descriptions, and custom product fields. Power Search will use soundex to compare the search word with your suggested word list, then display the results. Improve navigation by helping the customer find the product to make the sale. This display of suggested words is better than "fuzzy" search. Fuzzy searches tend to yield a large number of useless hits because many words sound like the search word. They then waste time browsing the fuzzy matches. It is much better to let the customer pick the suggested word, from the suggested words list, which most closely matches their desires. Product layout template can be customized. In the 'srch' page template, there is a "search results layout". If you are happy with that layout, you can copy and paste the contents of that template into the Power Search module's product layout template. You can then modify the layout in the Power Search admin screen. The product links on the search results page are slightly different from the standard links in other parts of your store as they pass info for the Return to Search feature. Price range searching. While searching the price field might be useful in some cases, a more popular search is price range. Within the searchable fields section, the customer has the option of entering a low and high price to create a range. If left blank, the search will not be filtered by price range. Category field search. Customers can also search the category name, code, headers and footers for the search word(s). Tell a friend module interface. 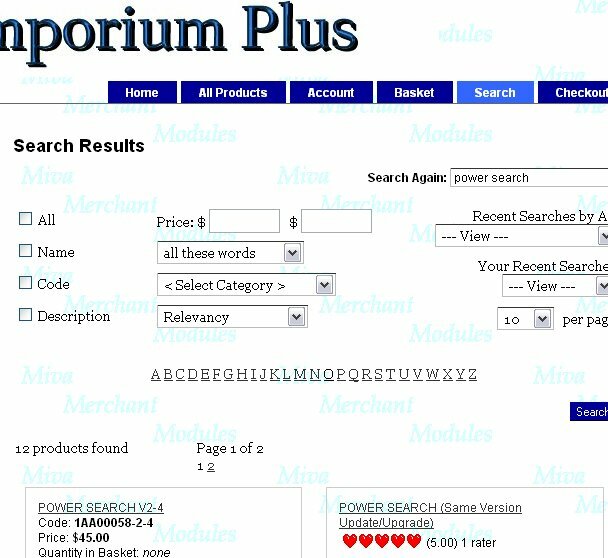 If the store is using the Emporium Plus Tell A Friend module, customers can send the search string from Power Search to friends. The link in the email will go to the same page of products that the customer was on when they clicked the Tell A Friend button. Return to Search page link. 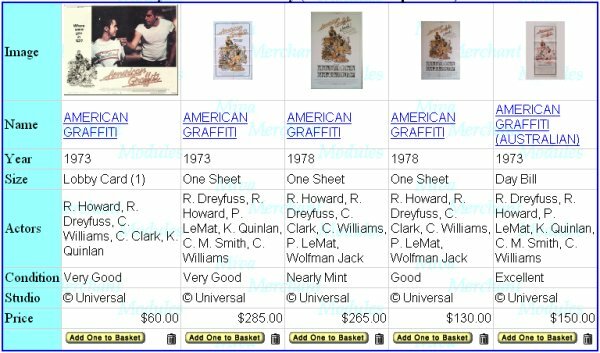 After going to the product page from a Power Search rendered search, a convenient "Return to Search" link on the product page can bring the customer back to the original search page. Search log with admin report. In Miva Merchant admin, you can view the log of search words/phrases which your customers have used. This helps you from a marketing standpoint to determine the most sought after products and possibly the need to carry a new product. Additionally, it helps you identify keywords which might be useful to include in the narrative descriptions or the meta tags for search engine submissions and even local searches in your store. As example, while you might have a product called flip flops, customers might be searching for thong sandals (which is the same thing). But if you had not used those words in your description, you may have lost the sale. The log can be purged in the admin screen to reduce its size as desired. Optimized search of built-in custom product fields. This module does not require that you use a proprietary 3rd party module for the custom product fields. It uses the built-in custom product fields module from Miva Corp, thereby ensuring compatibility with other 3rd party modules which use those same custom product fields. No need to go down that proprietary datafield path of no return. 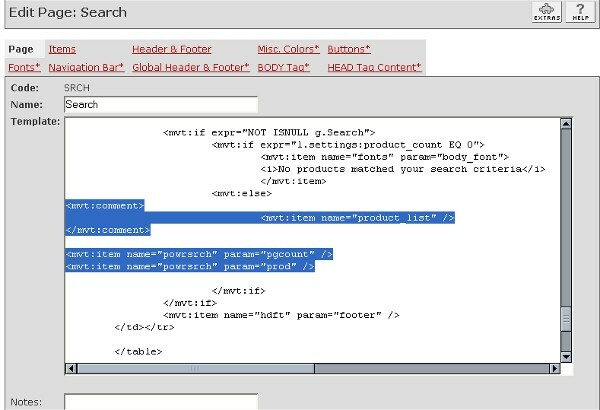 As example, the Emporium Plus Template Data Feed module can use the built-in custom product fields to populate feeds to just about any search engine and shopping index with those "special" fields those indexes require. Power Search makes the first 254 characters of each custom product field searchable in the mirror database. Recent Search History. You can add a drop down on pages to display the recently searched key words by all customers. You can also display just the recent searches by the customer viewing the page so they can efficiently refer back to "their" searches as they browse your store. The former entices customers to look at products others are looking at. The latter serves as a breadcrumb trail to get back to a product they had looked at but didn't put in their basket. Correlate search queries with sales. Using the built in customer confirmation email module (with ability to CC the store email) or a 3rd party template email module like the Emporium Plus Mail Manager, you can correlate search queries by the customer with the actual sales in the order. In addition to the list of products in the order, you can include all the search terms the customer used while on your site. This will help you evaluate the usability of your search tool vs casual category browsing to find products. You will also be able to quantify lost sales for search terms which should have found products but the products were not in the completed order. If your payment module takes the customer off-site to fill in the credit card info, you will need to use a helper module like Addendum to capture the search data and pass to the email module. Most Popular Searches. You can display the most popular searches (aka tag cloud or search cloud) with different font sizes based on their ranking among the most popular. You can mouse over the word and see the exact rank, e.g. 4 of 50, of each. Search clouds show customers what others are looking at and may peak their interest enough to entice another sale. Field Boosting. If your store uses MySQL you can designate certain fields to be more important than others. This improves your customers' search relevancy by sorting records with the search words in those fields to the top of the list. Any fields can be configured for this feature, even custom fields. Set the primary focus to product name or even the meta tag keyword field. Keyword Scoring. If your store uses MySQL you can designate certain fields to be used in fulltext searches which score the records based on the frequency of the keywords and other factors. This improves your customers' search relevancy by sorting records with the highest scores to the top of the list. During setup, to see how the feature works, you can display the raw scores for each product by inserting &mvte:product:pskeyweight; within the foreach products loop in the product layout template. Any fields can be configured for this feature, even custom fields. This can be used alone or in conjunction with the field boosting feature above. Product Comparison Grid. You can easily compare similar products by features (from your custom product field data) in a grid format to determine which is the best buy. The products can be grouped for comparison by three different methods; 1) pre-defined similar products in a custom product field, 2) checkboxes on a category or search results page where customers can select products to compare, 3) manually enter product codes into the special search input. The fields for comparison are passed at the same time that the products are submitted so you can have multiple dynamic feature comparison grids in the same store. If you want to see examples of how it works you'll need to contact me as we are not allowed to put external links to our pages in this store. Combine this module with our Emporium Plus Tool Kit module and you can create screen snapshots of the comparison grid to send to a friend or yourself for further study. Count by Category. You can include a list of categories that the found items are in along with the count of the number of hits in each of those categories. Live examples. We cannot link to our demo Miva Merchant stores (MySQL and MivaSQL) from MivaCentral so if you'd like to see a couple of the live pages demonstrating searches, please contact us for the links. You can check out the selected field search, field boosting, etc. in our test stores which have about 600 products with multiple custom product fields. Try some searches so you can get an idea of search speed. Pre-defined selectors. The Power Search function can also be used for pre-defined select pulldowns in your store. An example of genre and decade searches are in the lower left column of our test store's storefront screen. It will search a specific field, with store owner pre-defined selections. This same technique can be used for things like manufacturer searches if you have a manufacturer field in your custom product fields. No expensive monthly search fee. Unlike some advanced search solutions, this Miva Merchant module does not require a monthly licensing fee to continue to use the module. It does not limit the number of searches based on a license fee level. By keeping your search data on your server, you keep the cost down. Additionally, you don't have to worry about a distant server with your search data being down; if your site is up, your search data is available. You control the content on your search page. Our logo with a one-way link to our site does not appear on your search page. While that would boost our page rank, it would not benefit your site. So we don't do it. Liberal licensing. License is for ONE domain/mall. Within that single Miva Merchant mall, it can be used in multiple stores without additional licenses. This search module requires that you are using Miva Engine v5.04 or newer. When you log into Miva Merchant admin, you can see which version of the Miva Engine is in use in your store. Power Search is a great tool for internal site navigation. If you want to improve the chances of customers getting to your site, you'll need to submit data feeds to the various search engines and shopping portals. Our Template Data Feed module meets that challenge with flying colors. You spend a lot of time and money with hosting, entering data into your store, and improving the look and feel of your pages. Why would you leave your internal site navigation to chance? Granted, you could use the built in search system and customers might find the products they are looking for. But take a look at the comparison between the built in system and the alternatives. The answer is obvious, you need to upgrade your internal search capability. 99% of the time you will find the Power Search module does everything you need to increase sales through better site navigation. For the cost of dinner for two, you can make a significant improvement in your store's bottom line. Considering the law of diminishing returns, I doubt you'll need an expensive hosted solution.